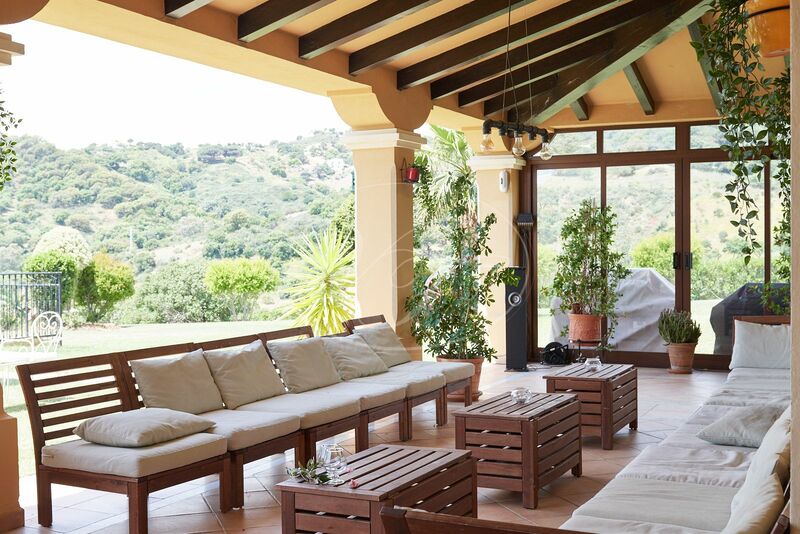 Extraordinary property in Casares, Málaga, Andalusia. 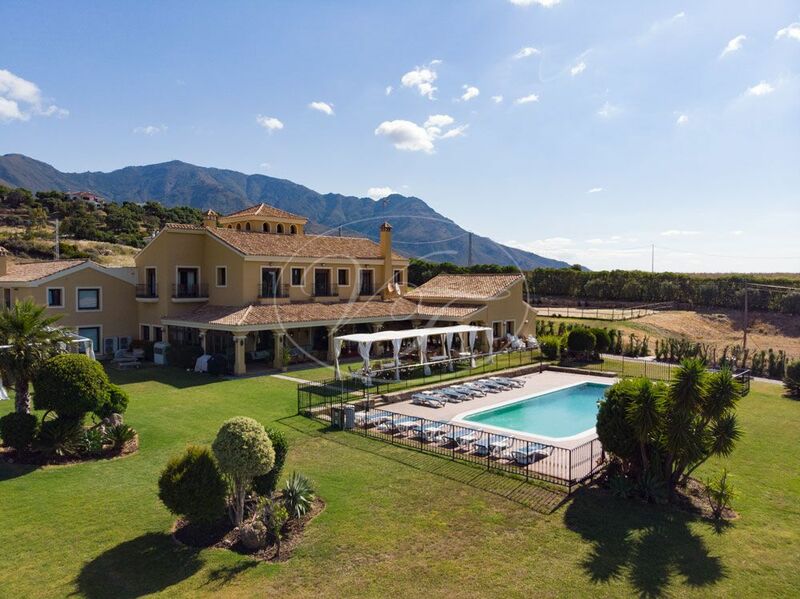 Luxury Cortijo with 2 separate guest houses. 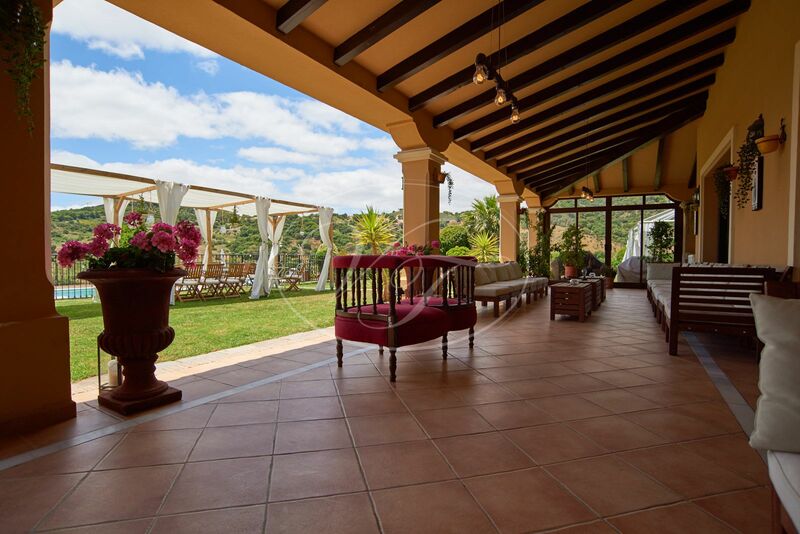 A beautiful property located at just five minutes from the coast, ten minutes from the village of Casares and the seaside town of Estepona. 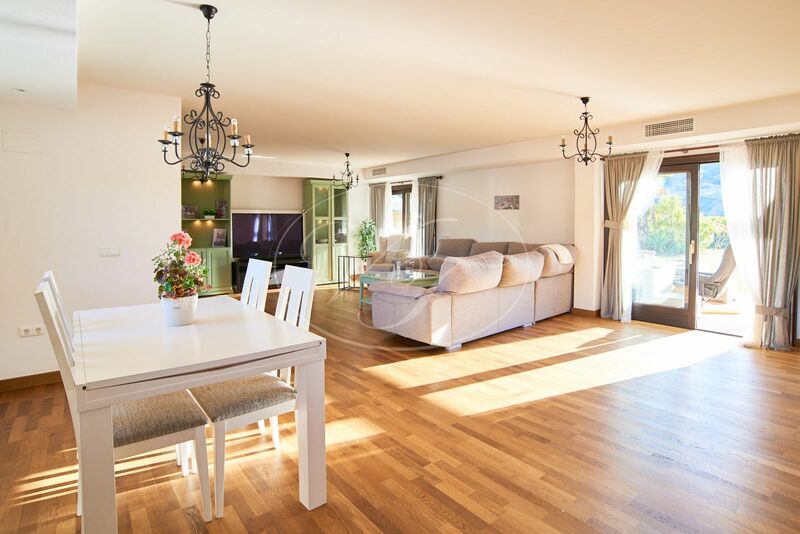 This country property was built in 2003, renovated in 2012, and has a total constructed area of 838,89m² on a plot of 179,703m². 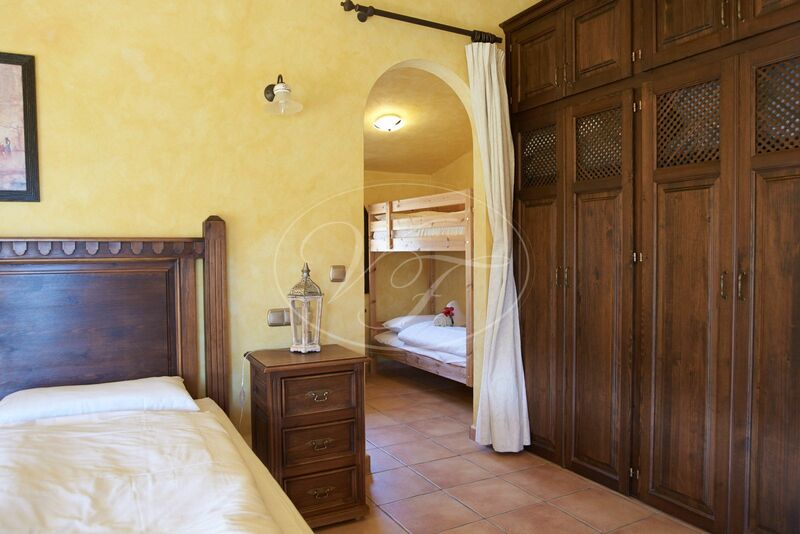 It has an extensive 5 bedroom main house, a 1 bedroom guest house, a 6 bedroom guest house. 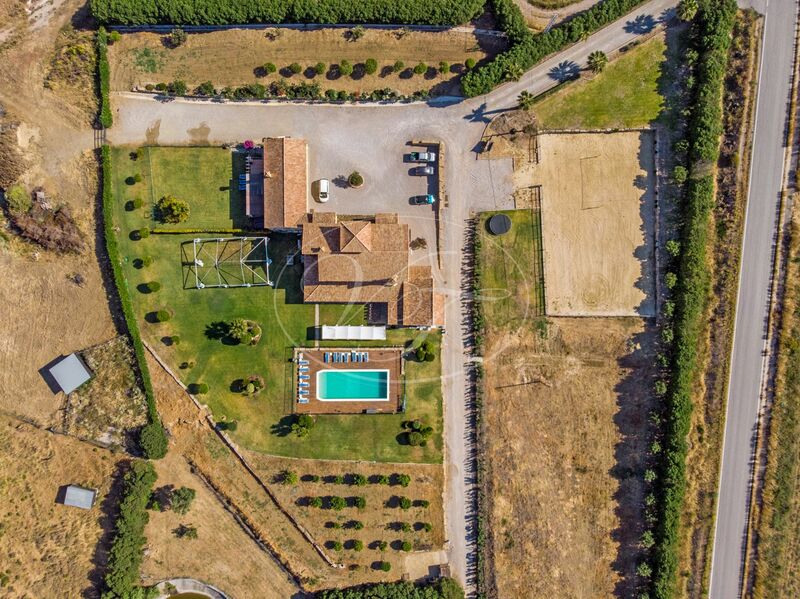 This property is perfect for the development of equestrian activities, as it has an arena, grazing land and a large exhibition room that used to be stables for horses, these would need to be reconverted. The luxury country house was built using only the highest quality materials. 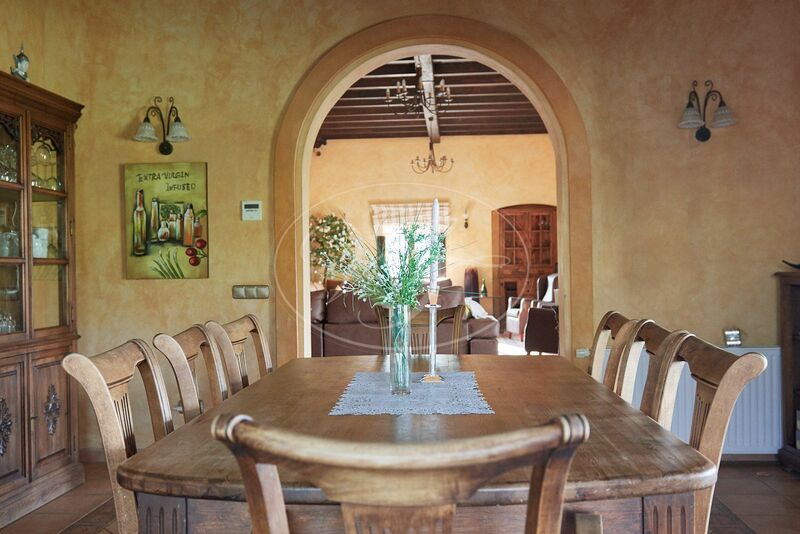 Many original and antique details give it the atmosphere of an Andalusian Cortijo. 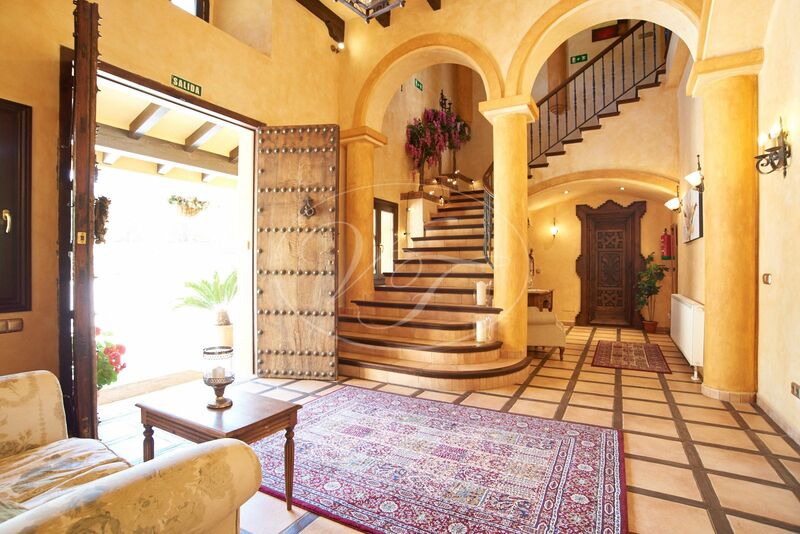 The front door, made of walnut and dates back to the XVIII century, gives access to an entrance hall. 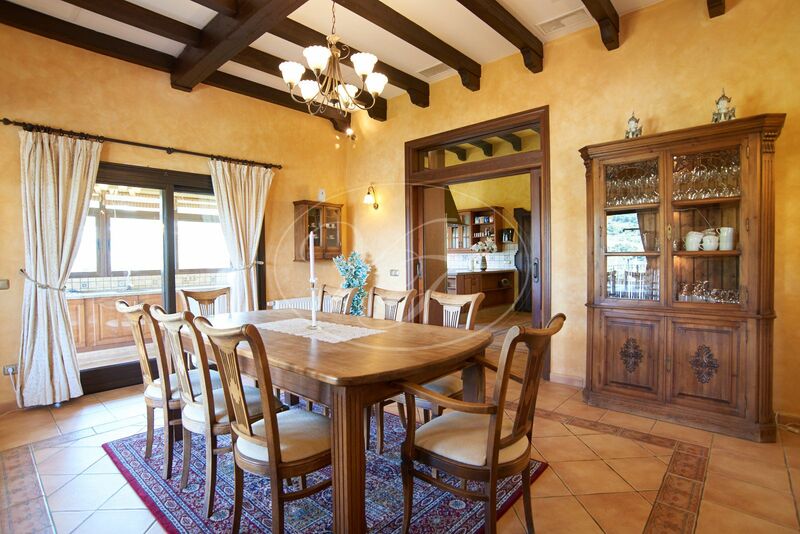 Antique mahogany doors are found throughout the Cortijo, whilst the window frames and external doors are all made of Iroko hardwood. 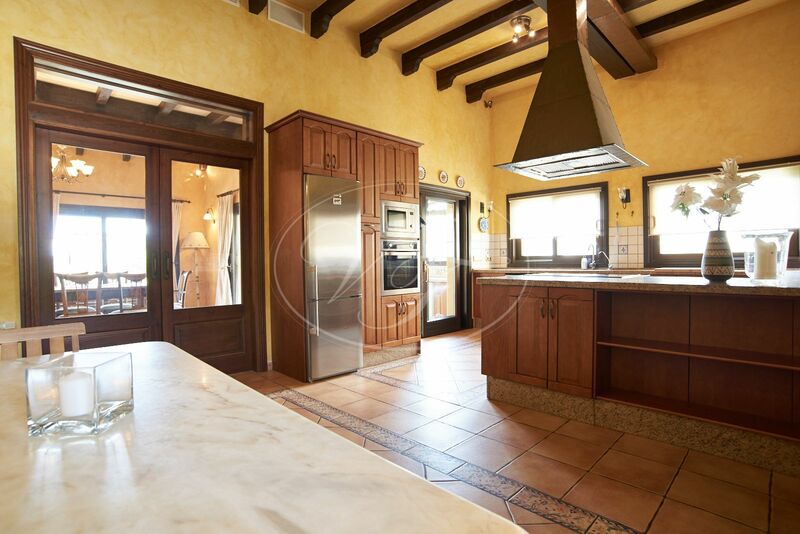 The property is finished with terracotta floor tiles throughout and has high wooden-beamed ceilings. To ensure it keeps warm during the cooler winter months a unique ecologically-friendly central heating system has been put in. It also provides hot water. The ground floor of the main house has the reception hallway, which leads through stained glassed double doors to a spacious living room area. A separate dining room can be reached from this living room via a stylish archway. Both the living and dining room offer direct access via sliding patio doors to the main south-facing terrace. 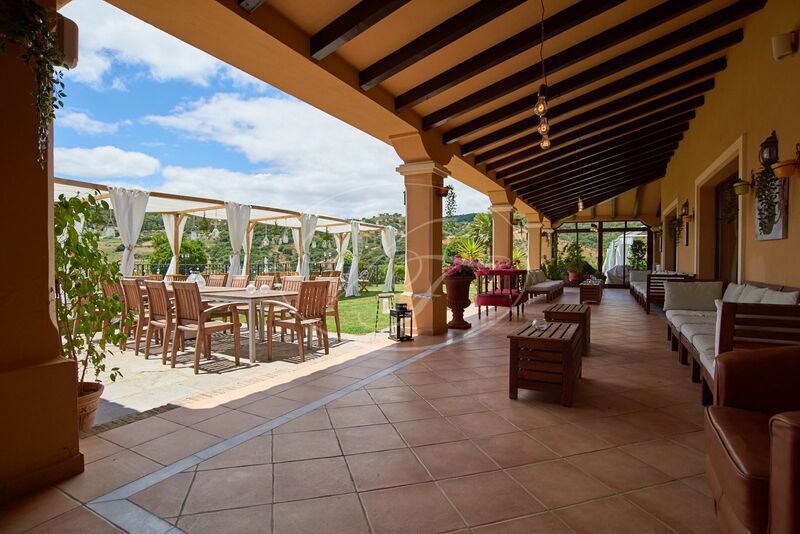 This covered terrace area is very spacious, spanning the entire width of the house and incorporating an outdoor kitchen, dining and lounge areas. A lawn sweeps down from the terrace to the property’s swimming pool. There is a state-of-the-art kitchen, which comes with its own dining area and a separate utility room. The ground floor is completed by a study set off the main living room, and two large offices that share a bathroom and kitchenette with patio door access to the main terrace. 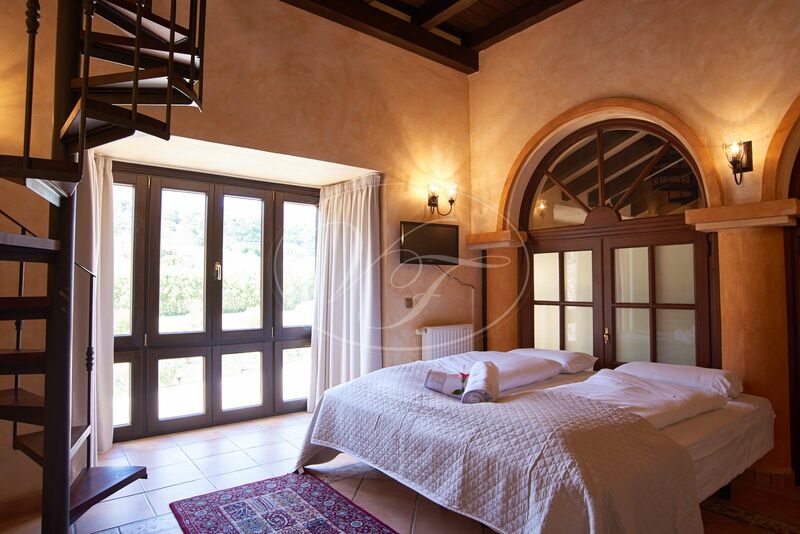 The property has five bedrooms on the first floor, three of which with their own en-suite bathrooms. Furthermore, a study area. 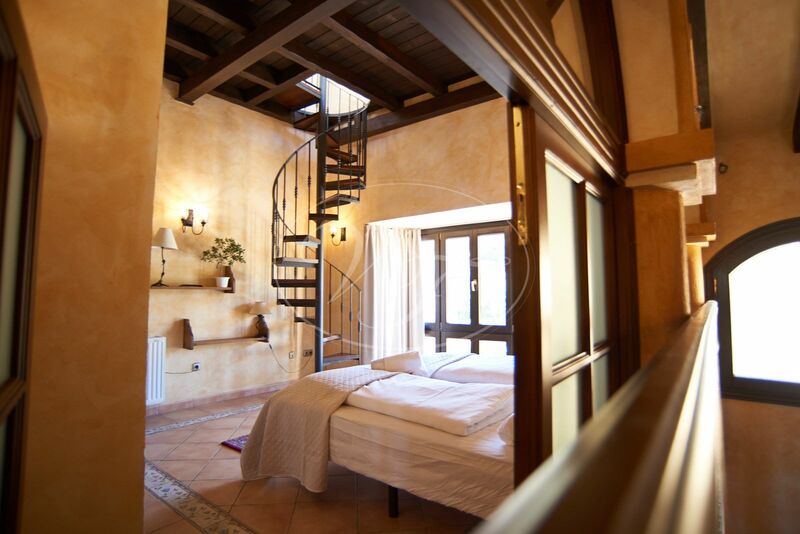 This study has a spiral staircase leading up to a loft space/tower with fabulous views of the surrounding countryside, the mountains and the sea. 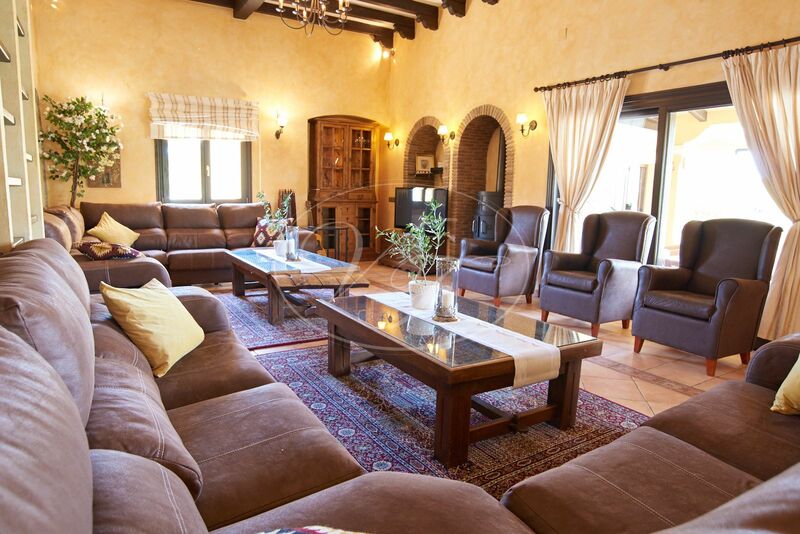 Adjoining the main house is a self-contained guest house, with its own living room, kitchen, bedroom and bathroom which has also access out to the main terrace and the pool area. 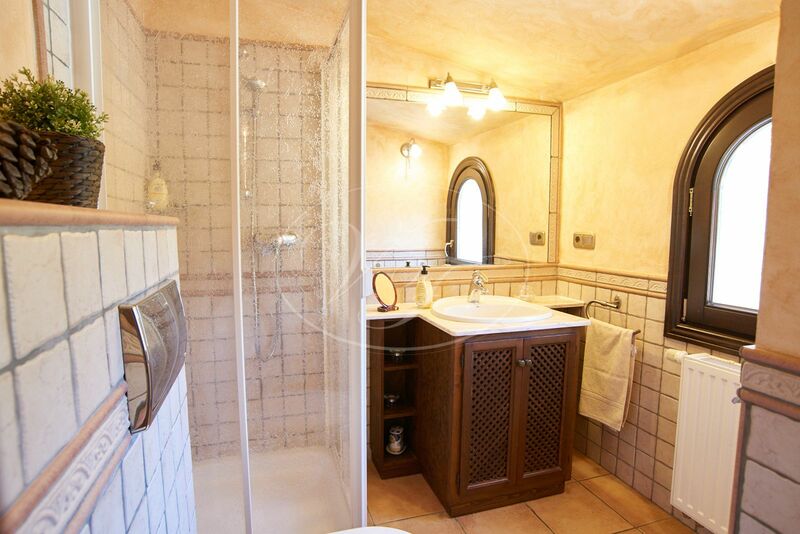 Underneath is a large basement, accessed from the outside, with a wine cellar and a sauna/gym room. 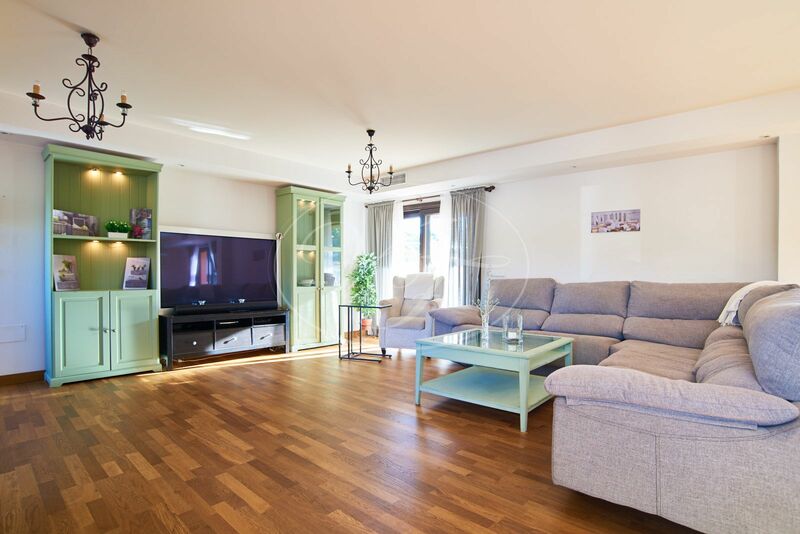 There is also a spacious apartment with 6 bedrooms, two large living rooms, a modern kitchen and a large private garden on the west side of the main house. 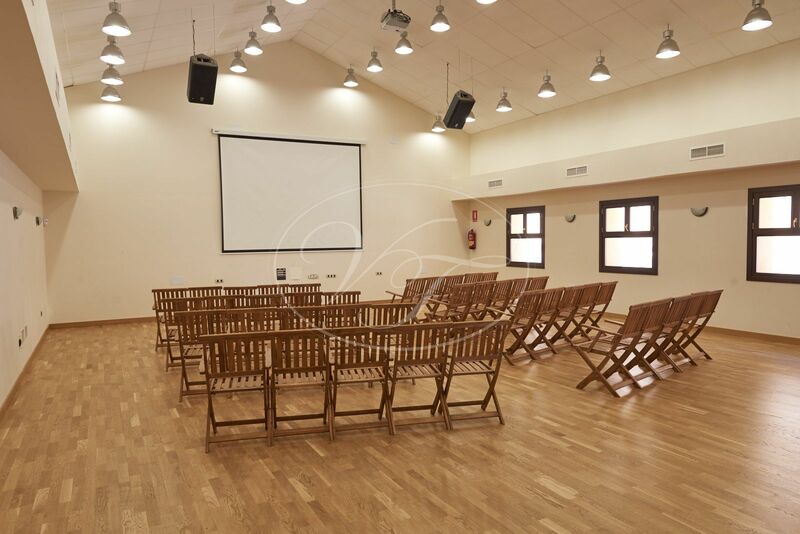 A few metres from the main house, there used to be stables and other facilities for horses that have now been reconverted into a large conference room that can be used to host different types of events up to 130 persons or even as accommodation. This is also complemented by an industrial kitchen, offices and changing rooms. This is the dream property for nature lovers. 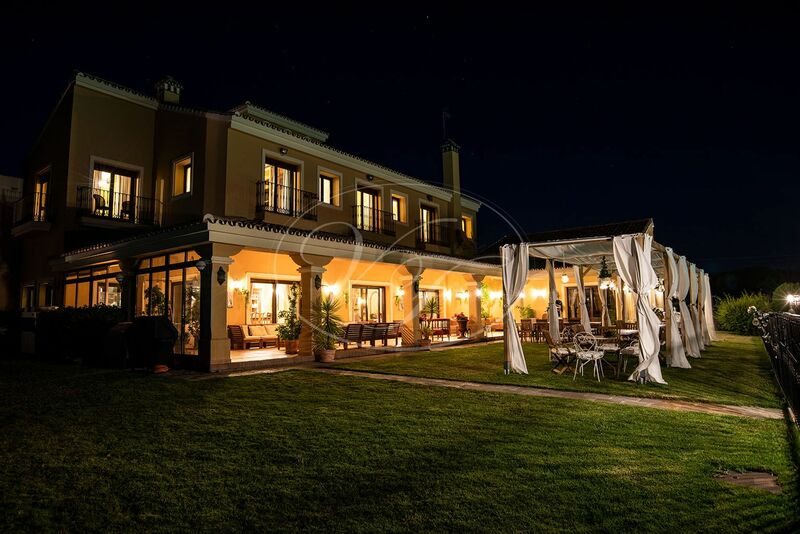 Close to the coast and its facilities, very easy access and ample space to develop the equestrian activities. 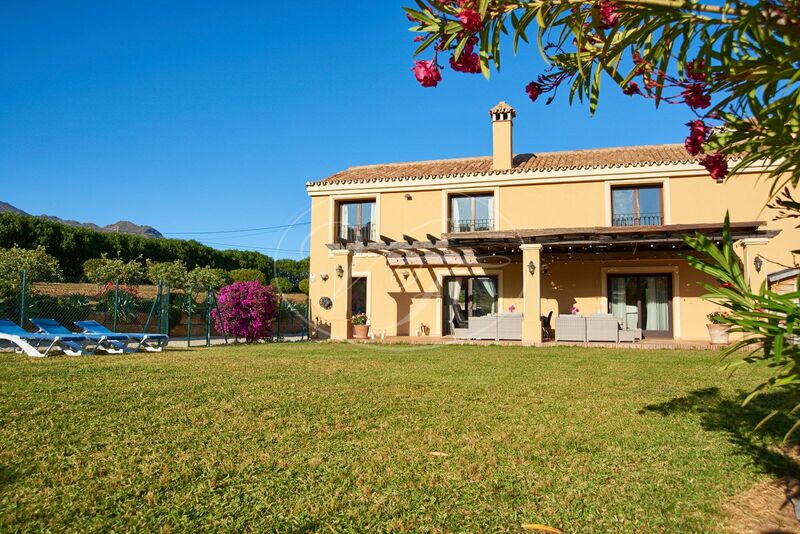 Please, send more information about ref 186-00789P, Cortijo in Casares or similar properties.